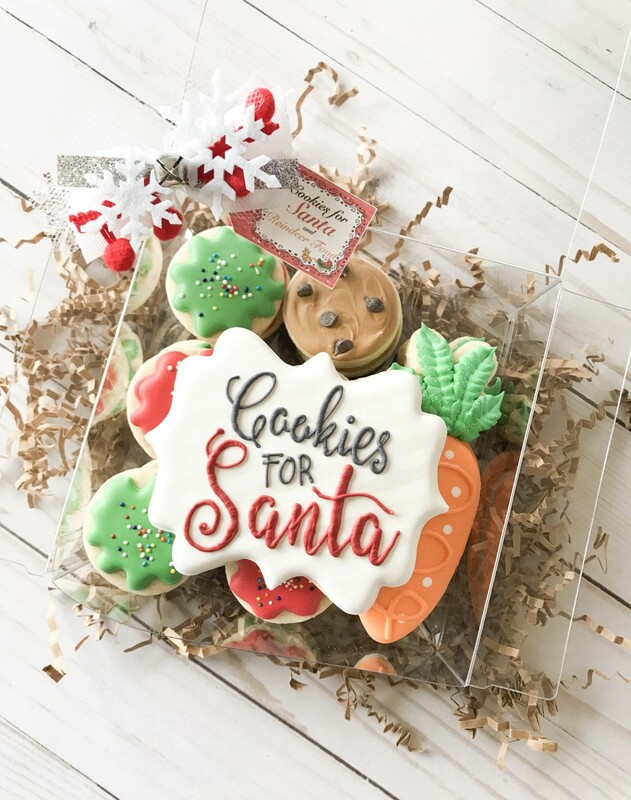 Selecting the perfect packaging for cookies can be very complex and a little overwhelming since there are so many options. That’s why I decided to share with you my preferred brand for packaging cookies, because of course, every cookie in order to be picture-perfect needs a perfect packaging. Right!? 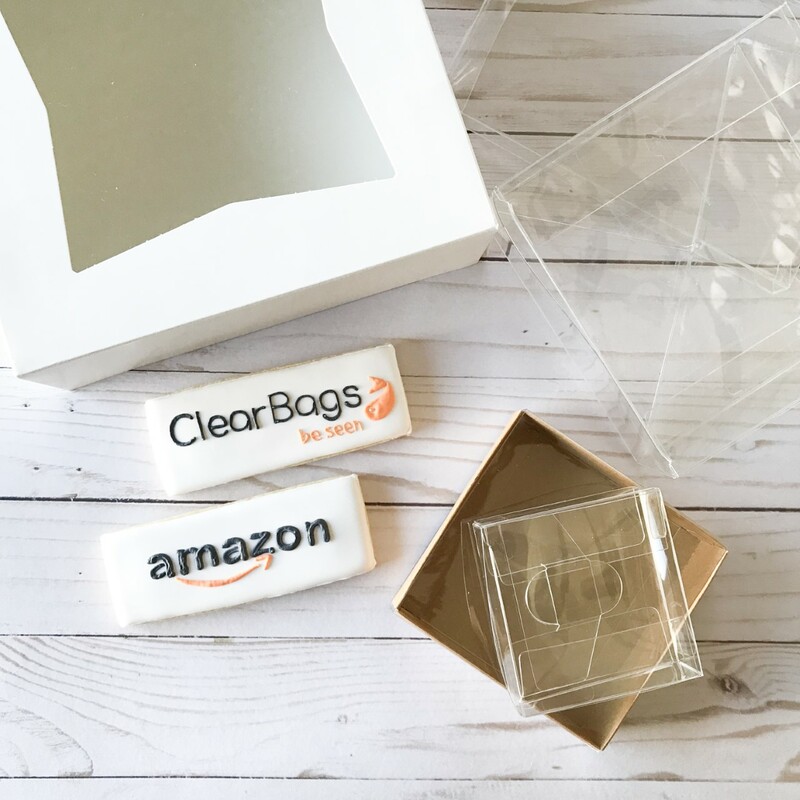 The two packaging shops that I love and use to purchase my packaging materials are ClearBags and Amazon. First of all, ClearBags is a company with a variety of packaging products and offers custom packaging. Awesome! I must mention that the quality of their products is incredibly high and their customer service is amazing. Let me show you all of my boxes from ClearBags. For single cookies I use the Paper Base Box that measures 4 1/8” x 1” x 4 ¼” (KR99) with the Crystal Clear Box Slip Cover that measures 4 3/16” x 1 1/16” x 4 ¼” (SC99). My regular size cookies are from 3 ½” to 4”, they fit perfectly in these boxes. The boxes are super easy to assemble and very affordable. This is my most used box for different occasions. For sets of two cookies I use the Crystal Clear Box that measures 5” x 5/8” x 7 ½” (FB14). I use them for when I setup holiday offers. For a cute mini gift of mini cookies I use the Crystal Clear Value Box that measures 3” x 3” x 1” (VB297). Here I could fit one or two mini cookies depending on the designs. My mini cookies are approximately 2”. I also use the Pop and Lock Food Safe Box that measures 5 5/8” x 5 5/8” x 2” (PLB198). I used this box for my Christmas Offer: Cookies for Santa and Reindeer Food. You could also fit in there 2 dozen mini cookies. Here is the link for the ClearBags Website. Use the code JB10 for a special discount. From Amazon, I use the White Boxes with Window that measures 8” x 8” x 2 1/2”. I love them because they are a good size and they include a window for you to see the product inside. I use these boxes when packaging a dozen of regular size cookies for local clients. Here is the link for the Amazon Boxes (Pack of 15 Boxes) and (Pack of 200 Boxes).